What is the best rated Cozumel Bottom Fishing charter in the Island? Deep sea fishing in cozumel is highly prevalent, especially in the warmer months. Not only does the island boast of its reefs and diving activities, but it also has excellent spots for fishing. Make sure to get aboard a boat or yacht equipped with the right and necessary gears for bottom-fishing. The crew or your guide should also know the best methods and the places to go. 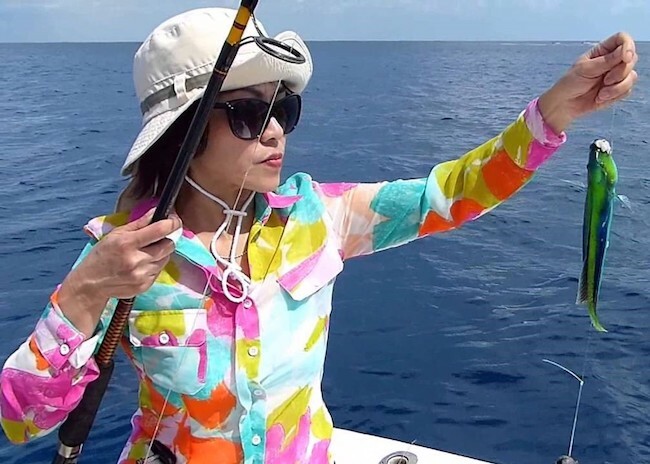 Is Bottom Fishing a good option for Cruisers visiting Cozumel Mexico for the day? Marlin – White and blue Marlins are big game fishes and are very exhilarating to catch. They are adamant, which makes picking them a significant achievement. They fight to the end and won’t give you an easy catch. Once the fish take your bait, prepare to see an aerial display, as they will try hard to shake the hook off. They are abundant from April to July, and other cozumel fishing seasons. It is difficult to catch; there is a lot of waiting time in both waiting for it to take the bait and keeping it on the line. You’re more likely to spot them in the fishing charters. What other fish can I catch in Cozumel when Fishing by the Reefs? Wahoo – This is a speedy fish that is known for its hard running speeds of 45 miles per hour. They look very enticing because of its long slender body and blue vertical stripes. Wahoo is a delicious fish, especially when grilled. The Wahoo is one of the fishes that after you catch, can be placed in the grill for a tasty lunch or afternoon snack after a tiring day of bottom-fishing. The Wahoo is abundant during November, December, and April. Mahi-Mahi – Also known as the dolphinfish, Mahi-Mahi is sought after by sports fishing enthusiast because of its beauty, size, food quality, and healthy population. They are found mostly during the warm months because they love thriving in the warm waters. Its gold-green and blue colors make it the most appealing fish to catch because it is the only colorful fish among the game fishes in Cozumel. This pretty and delicious fish is abundant from May to July. What is the best season for Bottom Fishing in Cozumel? Most of the game fish sought for bottom-fishing are available all year round while they are more abundant during the warm weathers. 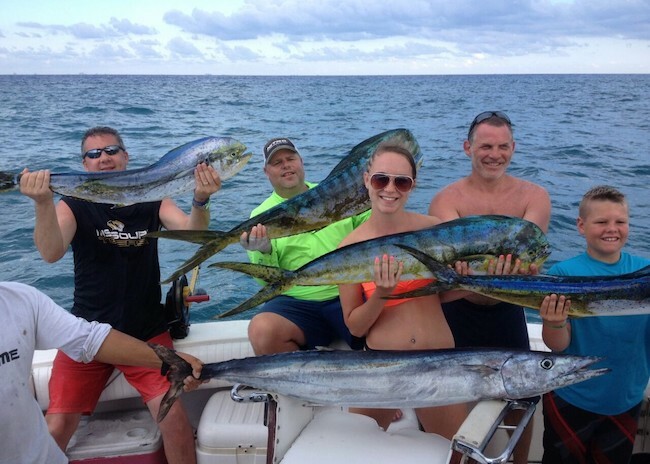 What better way than to spend summer on the beach with your family and dedicate a day or two for catching big game through bottom-fishing in Cozumel. You will have a grand time battling with fighter fishes and enjoying a nice meal of what you have caught after a long, tiring day.